Red Hook Brewery Oddmall Vendor Village Next Thursday! One Spot available! I have 1 booth that just opened up for next Thursday night at Red Hook Brewery. As part of this Summer’s Red Hook Moonlight Cinema, Oddmall will be presenting a vendor village at the Red Hook Brewery in Woodinville, Washington. Join us under the stars for a very special movie night and a musical tribute to the late David Bowie. Moonlight Cinema at Red Hook features a Beer Garden, Food Trucks, Live Music, Lawn games and now Oddmall! This event historically is very well attended and will be opening an hour early this week for our vendor village. With the theme of the night being Labyrinth, vendors are encouraged to dress up in a costume that is theme appropriate. 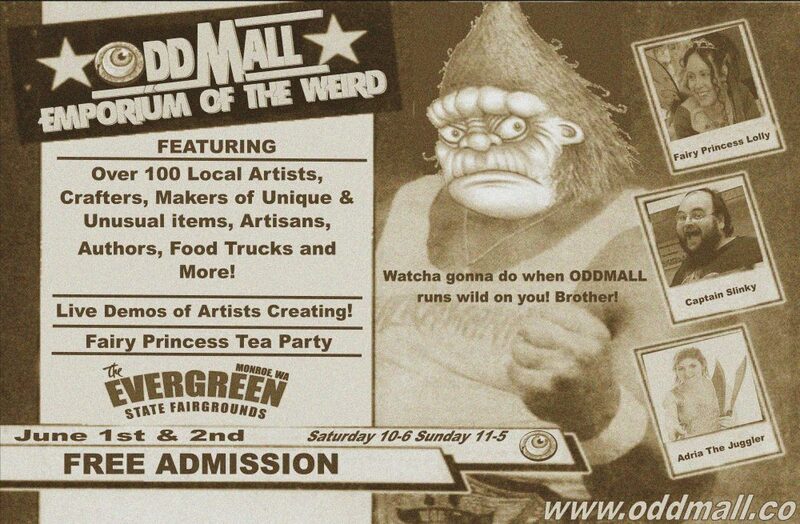 We will have some of our favorite Oddmall entertainers in attendance as well (Shout out to Fairy Princess Lolly and Wotan the Fairy Smasher!). See you under the stars!